When it comes to speedy, thorough wallpaper removal in Meadowbrook, Pennsylvania, no one beats Henderson Custom Painting's experienced professionals. If you have ever attempted removing wallpaper in your home or business on your own, you know that it is a tedious and labor intensive task. Now this is a job for the professionals! We've been in the painting industry for over 24 years, and can handle any wallpaper removal project. Simply call (267) 227-0523 for a free quote! Henderson Custom Painting guarantees that you will be satisfied with wallpaper removal in your Meadowbrook home. The job will be done to your specification and we go the extra mile to make sure you are happy. The wallpaper removal project isn't complete until you say it is! Call (267) 227-0523 to get started. Henderson Custom Painting is a leading provider of wallpaper removal in Meadowbrook. Our expert wallpaper contractors have years of experience and can get the job done right, quickly and efficiently, saving you hours, if not days, of tedious labor. When you are tired of that old wallpaper and ready for a change, give us a call. 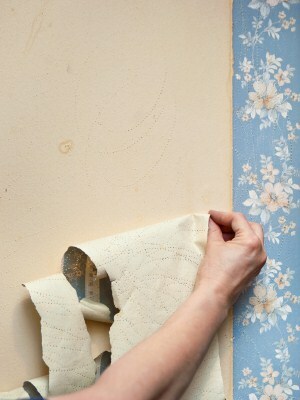 We will remove that outdated wallpaper quickly and easily and clean up the mess too!